Gdańsk is the capital city of the Pomerania Province, Poland. With a population of 460,427 people, it is the largest city in the Pomerania region of northern Poland. Gdańsk is the ultimate opportunity to experience fascinating cobbled street wanders. Touristic attractions of this historic city, includes Długi Targ, St. Mary’s Church and the European Solidarity Centre. Cheap flights to Gdańsk are now available for a limited period of time, so prepare to be enchanted by this phenomenal port city! Gdańsk is home of Gdańsk Lech Wałęsa Airport (GDN), which is located a short 20-minute drive from the city centre. Gdańsk is the centre of Polish Gothic architecture. Transcending buildings which tell tales of the arrival of members of the Dominican and Franciscan orders – including town halls and castles. Gdańsk is situated on the Baltic Sea coastline, which affords the locals an abundance of seafood dishes. 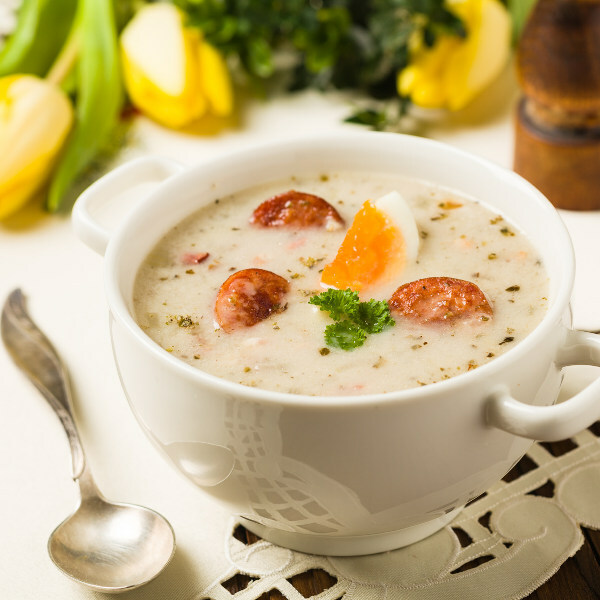 Gołąbki, smalec and kaszanka are dishes specific for the most daring palate. 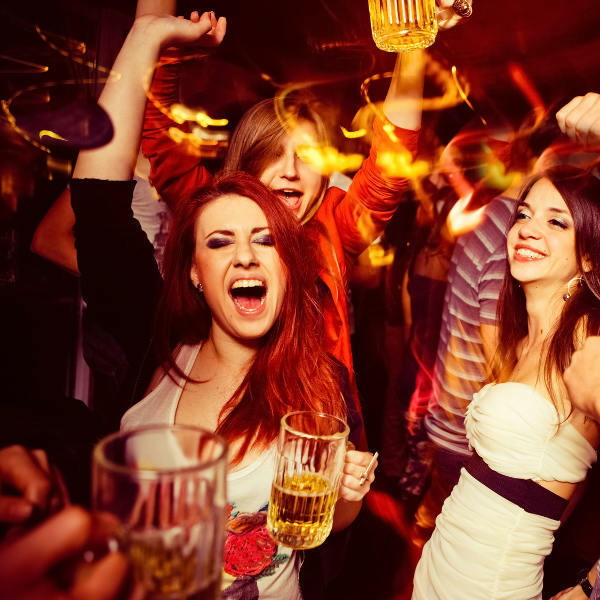 Unravel the best of Gdańsk nightlife. You will be exposed to the quintessential bars and clubs by amazing local guides. You are sure to meet amazing people on this journey. Summer (June to August) is the ideal season to get the best out of your holiday in Gdańsk. The average temperature is about 20 degrees Celsius. There are plenty of local festivals that will keep visitors adequately entertained. To avoid the bustle of the tourist season, consider planning a spring (March to May) or autumn (September to November) vacation. The city is pleasingly less crowded, and trips to the local parks and gardens are fantastic. For cheap flights to Gdańsk, late April and May, or September and October are recommended. All dependent on what you hope to get out of your trip to the prolific city, of course! 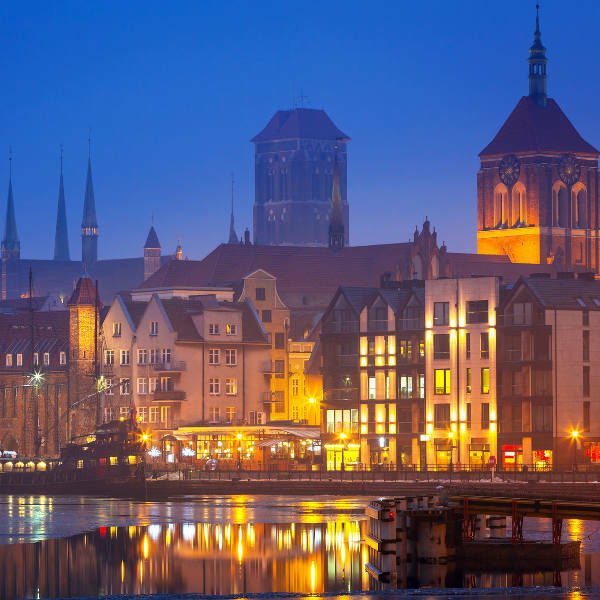 Nestled on the Baltic coast, the Gothic influenced city of Gdańsk offers a one-of-a-kind seaside voyage. The city is ideal for sightseeing on foot and taking plenty of surreal photos -it is rather small in size. Gdańsk is astonishingly pretty with pastel coloured buildings, unique architecture and marvellous cobbled streets. It offers a truly unique aesthetic that will make you forget that the rest of the world still exists! Get the best of both worlds in this quaint setting. Transport yourself from the city’s architecture to the soothing beaches. Gdańsk is blessed with unscathed beaches, surrounded by trees, majestic forests and sand dunes that will invoke your inner child to come out and play. Compare several airlines, and book your cheap flights to Gdańsk online at Travelstart. All travellers to the city should be up to date with their routine vaccines. These vaccines include measles-mumps-rubella (MMR) vaccine, dipthera-tetanus-pertussis, varicella (chickenpox vaccine, polio vaccine and yearly flu shot). Hepatitis A – It is recommended because visitors can acquire hepatitis A through contaminated food or water in Gdańsk, regardless of where you are eating or staying. Rabies – Travellers who intend to partake in outdoor and other activities in remote areas are encouraged to have a rabies vaccination. This will remove the risk if an incident occurs through any adventure travel and caving etc. Gdańsk is as safe as any other European city. The basic rule to adhere to is to obey the city’s general regulations. Take care of your belongings in crowded places such as tourist attractions and transportation systems. Be vigilant of pick-pocketing in these spaces.